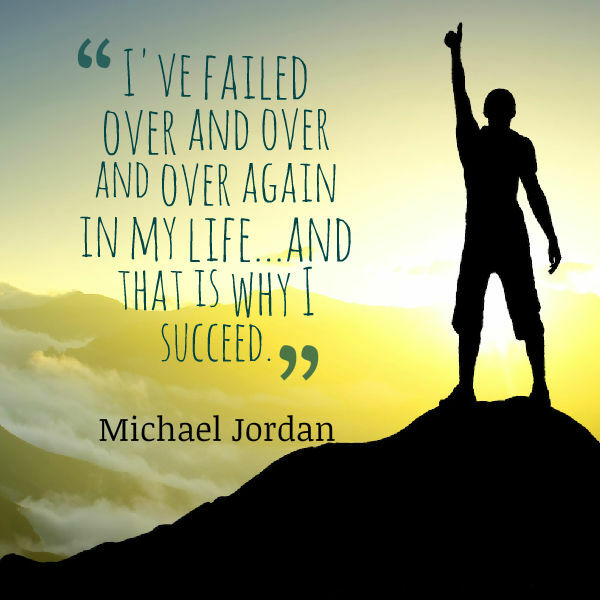 Loving this quote from Michael Jordan, standing proud about the fact he’s failed over and over during his life. It’s funny to hear statements like this from such a successful athlete, which is exactly why it’s so brilliant to take in. If you have low self-esteem, I’m betting you hate to fail. It might make you lose more self-worth and confidence. But failure is inevitable if you are going to succeed in something – the important part is how you deal with your failure and move on from it. That’s what you must do – learn from your mistakes and MOVE ON – and emerge stronger than ever!